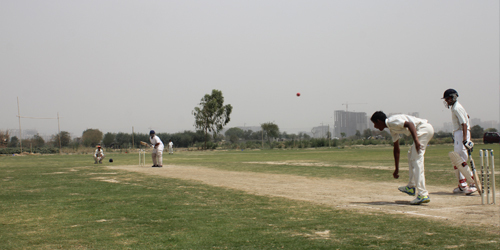 Fagna sports club of Faridabad also decided to hold 2 days cricket match. First match was held Under- 19 category, between Delight sports club and Jasola Complex. Delight defeat Jasola by 1 wicket and 8 runs. After winning the toes Delight planned to bat first and made 220 runs and Jasola team just able to make 212 runs.